In case you missed it, you can check out the site here or join us on Facebook here. 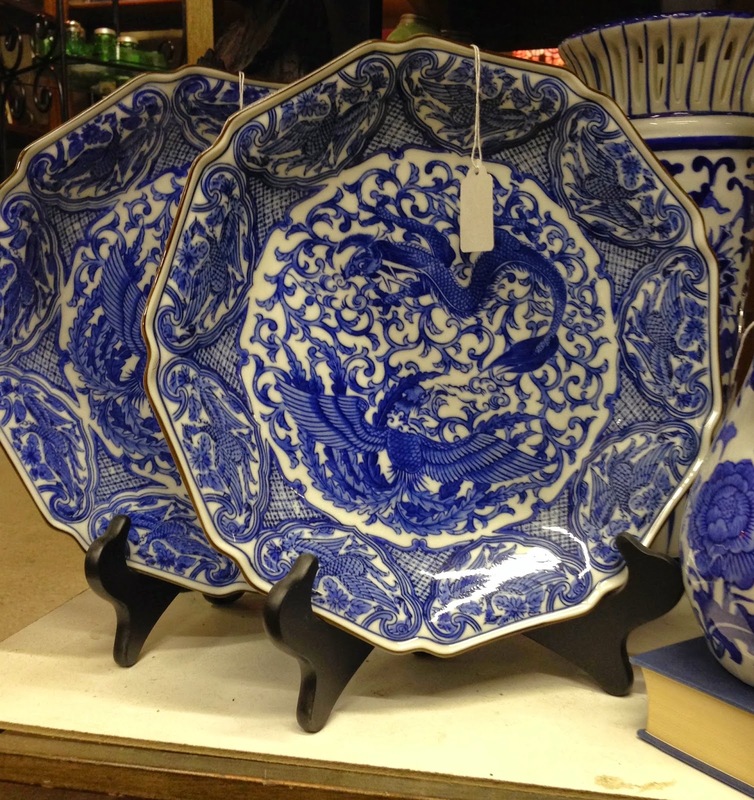 With the launch of my new business I find myself shopping more now than ever, so I thought I might share some of my latest finds (mostly for clients) from my favorite, local antique mall. 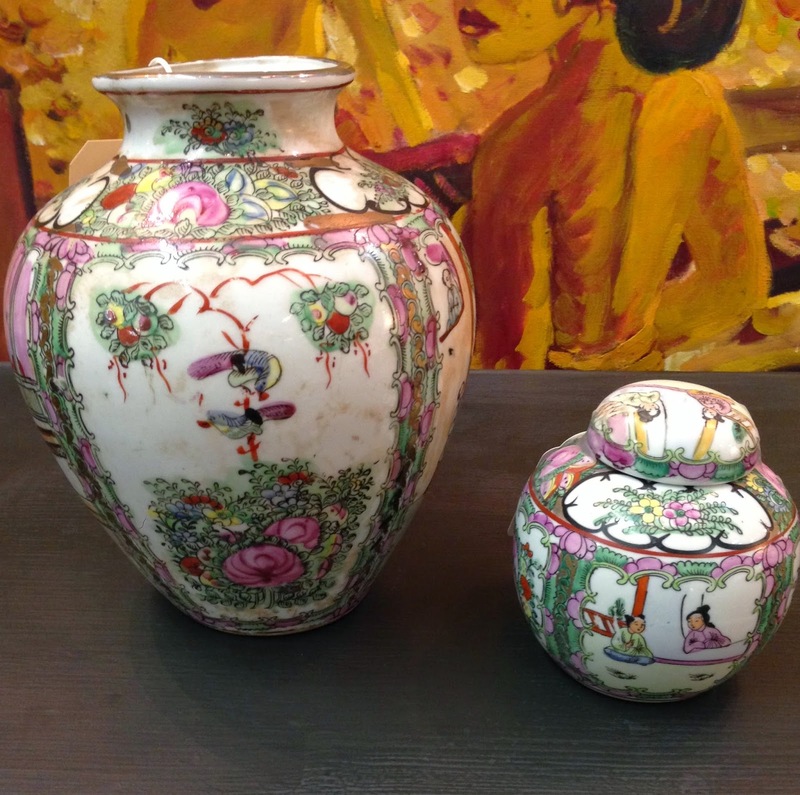 On this particular trip I was on the search for porcelain, you'll note the theme. Not everything pictured came home with me, but most were at least considered enough to be photo worthy. 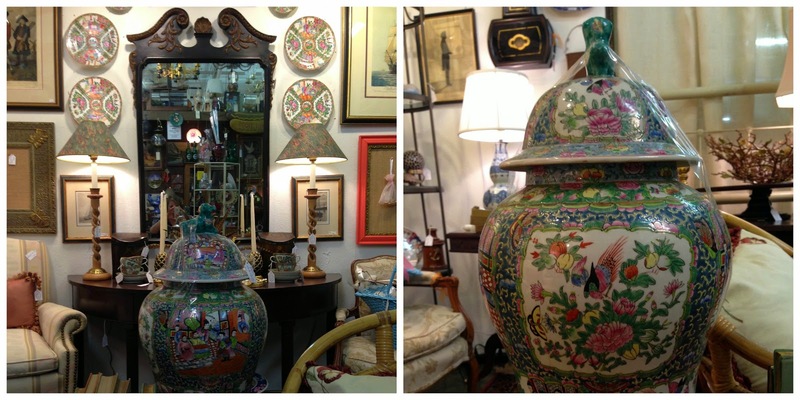 Love this booth and that urn in particular. Stunning. She had two and someone bought one. Just one. That's sad. Why would you want to break up the pair? Sniff. Even when I go with a mission in mind, it's hard not to get distracted by the good (love those blue and white plates) and the bad. 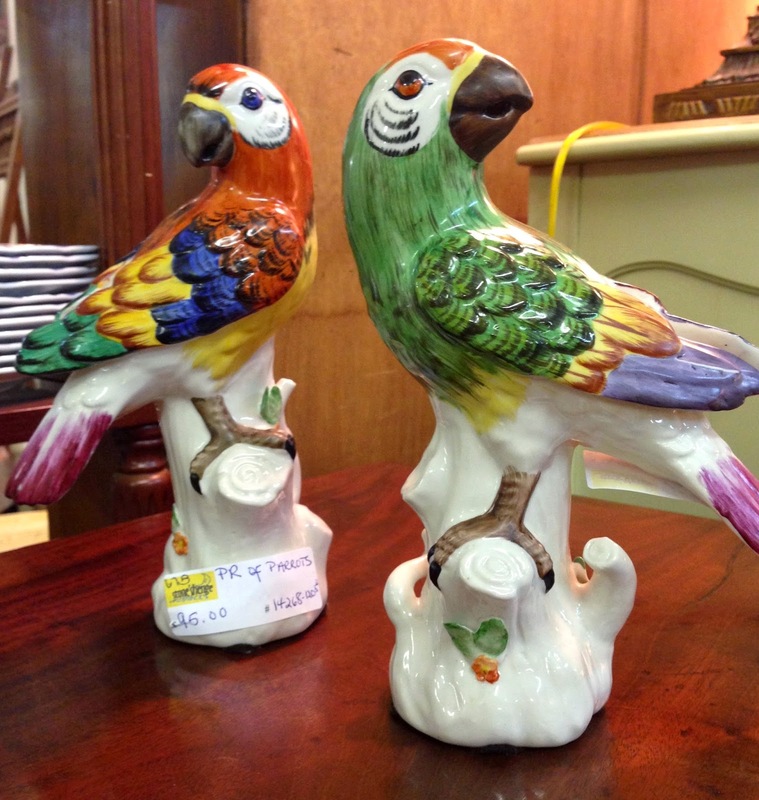 You know I do have a thing for pairs of birds, but I managed to leave the parrots behind this time. 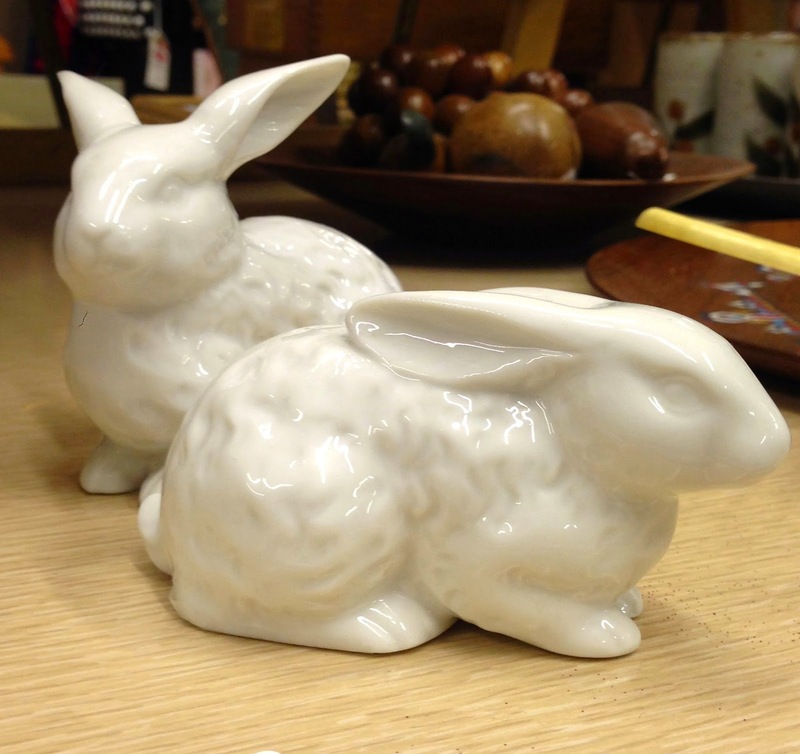 How cute are these little bunnies, especially with Easter just around the corner. 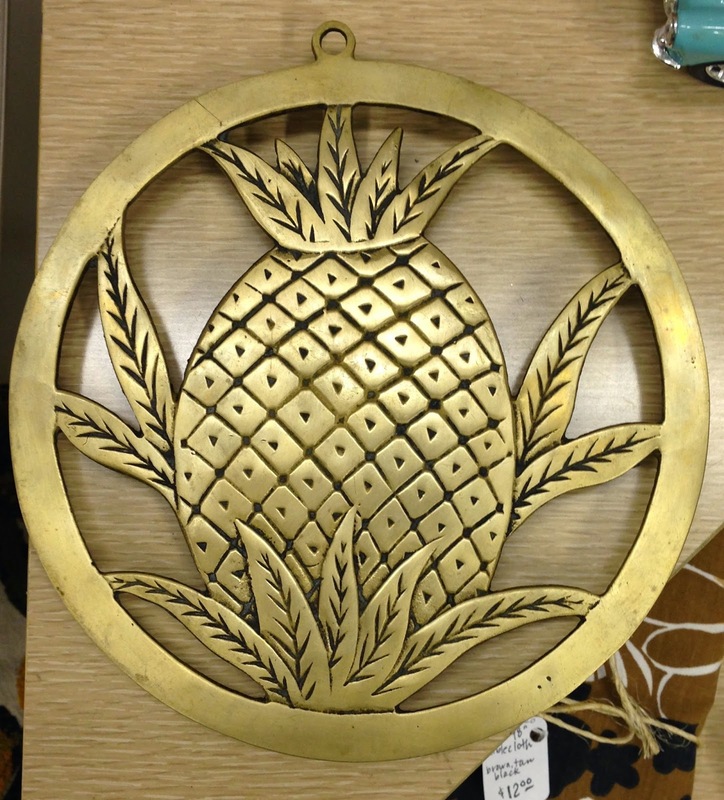 Brass Pineapple anyone? Love the subject matter, but this one was also left behind. 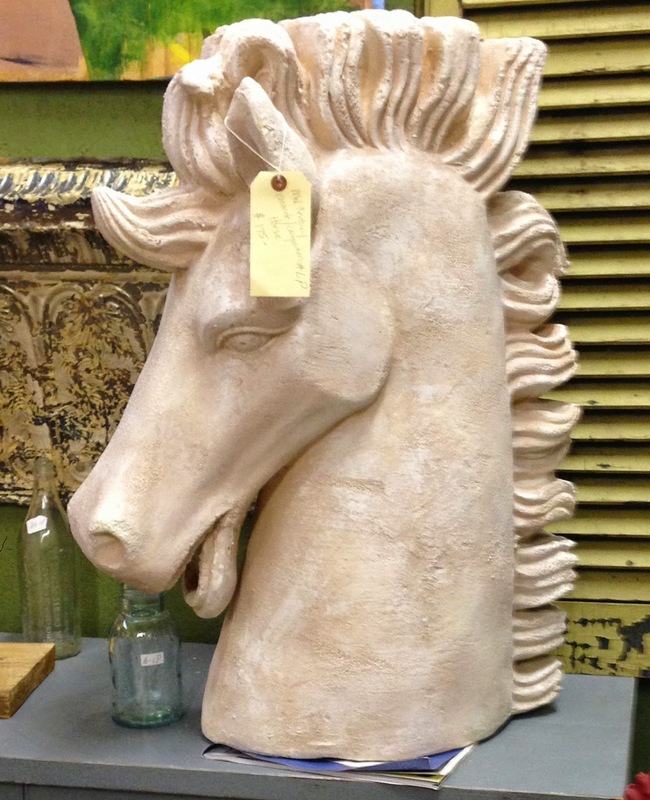 The picture doesn't even begin to do justice to the sheer size of the horse head. Truly something special. Too bad I already have one, albeit not quite so big. 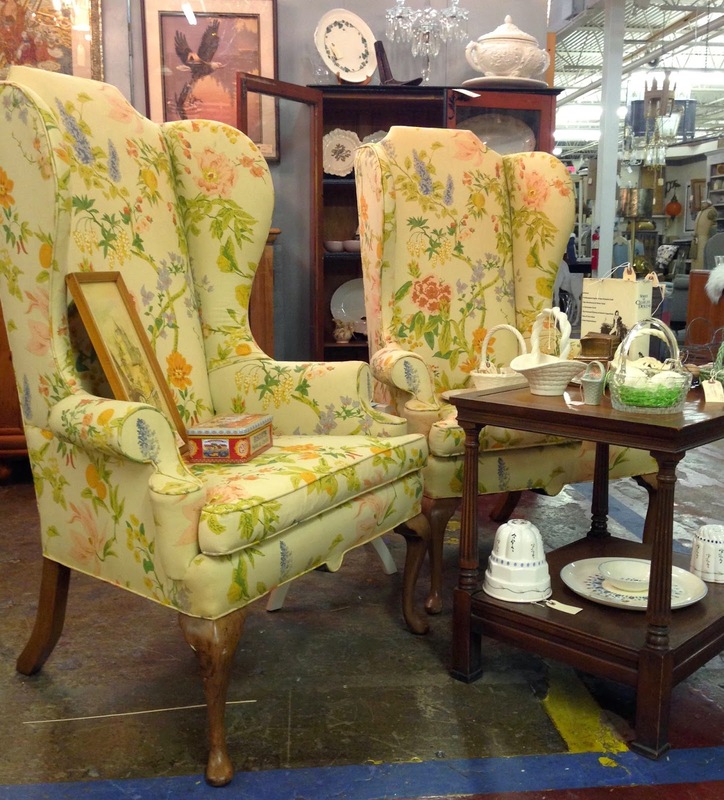 There's something about these floral wing chairs that caught my eye and made come back for a second viewing. I kind of love them. In the right space they could be amazing - just as they are. I do try to steer away from the whole concept of "one for you, one for me", but occasionally the deals are too good to pass up. 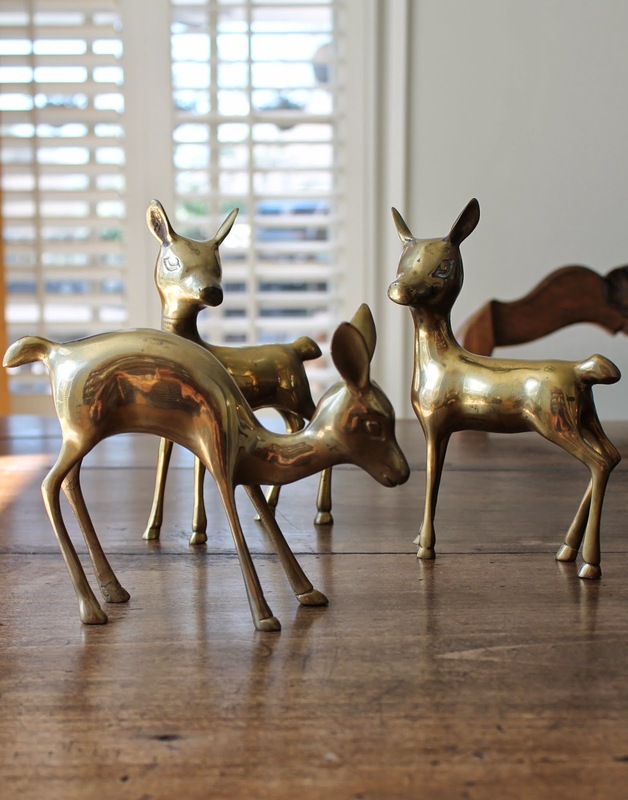 In other words, this little trio came home with me. It's no secret I am a sucker for HomeGoods, but I'm also a firm believer in balancing out the faux with the good, the new with the old. 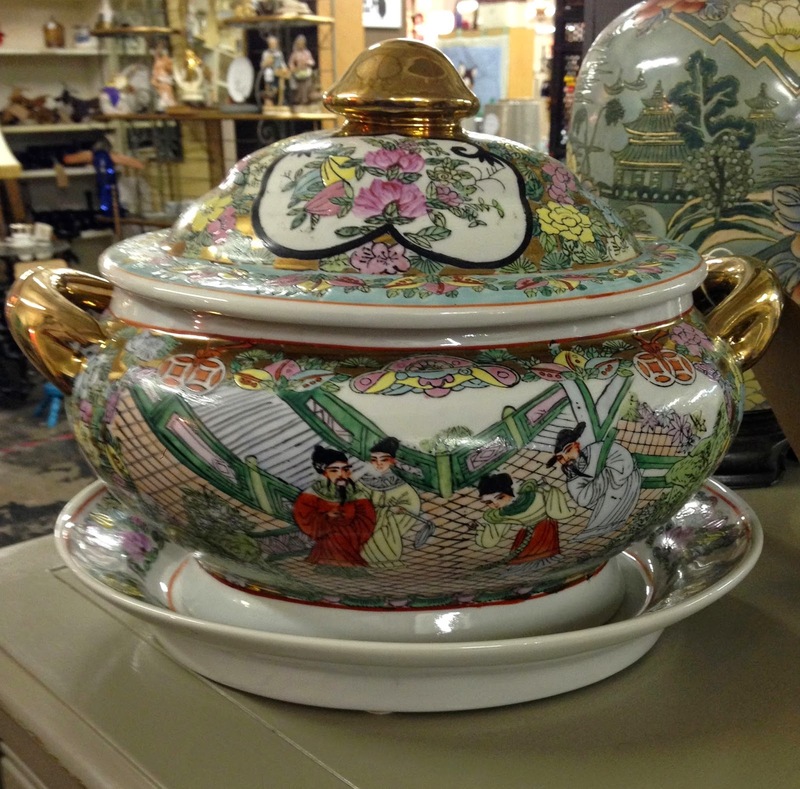 So don't overlook your local antique/thrift shops for one of a kind finds.